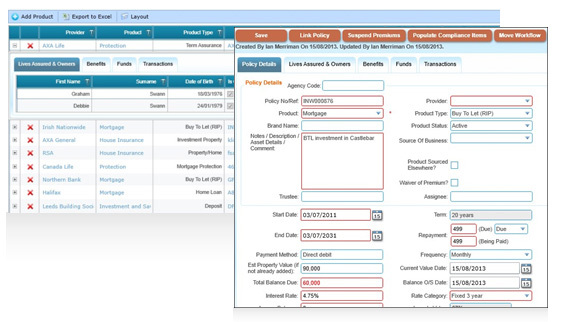 Client and policy data are regularly updated on the system. Up to date policy data are received from: Aviva, BCP, Royal London, Friends First, Irish Life, New Ireland, Standard Life and Zurich. We have now created a tool in Money Advice which allows users to import policy data received in excel format from Aviva Health into the CRM system so that you get up to date health policy information. From March 2014 Money Advice was appointed by the Life Offices as the second software firm to provide policy data downloads and protection quotations under the Brokers Ireland Scheme.